Since finding comfort in fashion, we are all sticking with it, meaning that trainers are not going anywhere. Girls fabulous white high-top trainers by Monnalisa, with easy-to-fasten side zips. 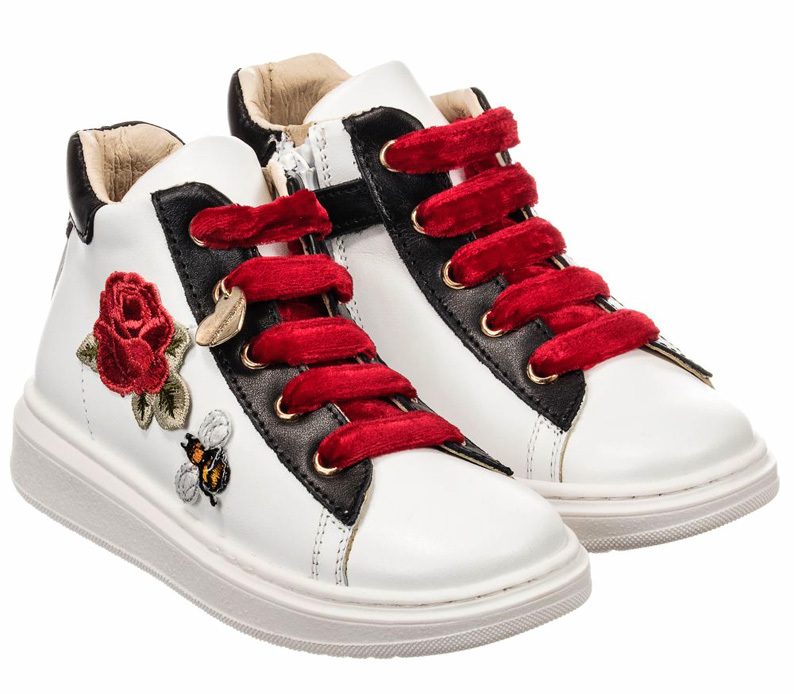 The outer shoe is made in supple white leather, decorated with rose and bee appliqués and beautiful red velvet laces. The inner shoe is fully lined in leather, with a slightly padded insole and a non-slip rubber outer sole. 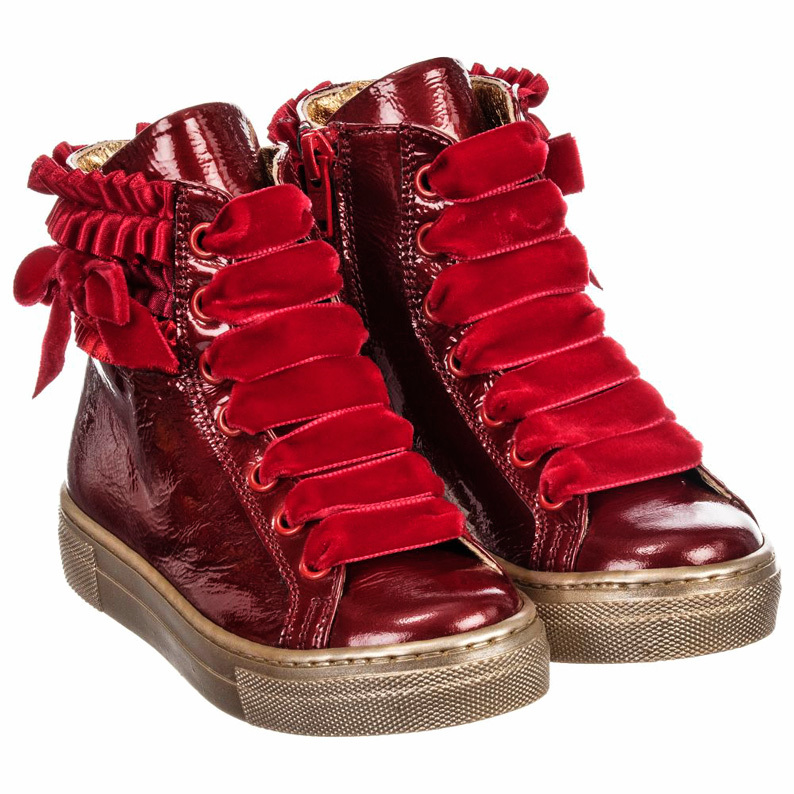 These shoes by Quis Quis are made in a luxurious red patent leather, decorated with ruched satin and velvet laces. Made in a high top style, they are protective as well as cool, with a padded tongue for comfort and side zip fastening. 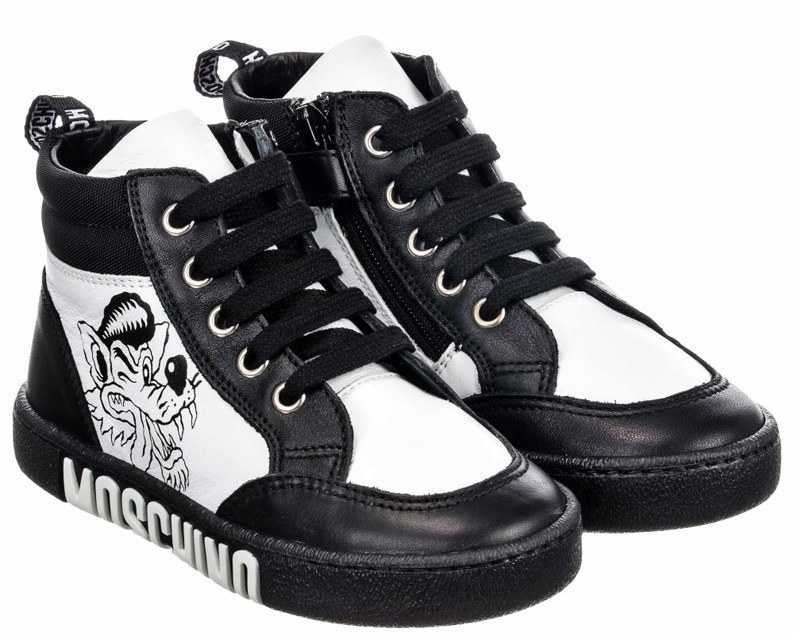 These high-top trainers by Moschino Kid-Teen are a stylish choice, designed with monster print and the designer's logo on the outside sole. They are expertly made in Italy from a strong leather, and have padded textile ankles for all-day comfort. Made in Italy by Missouri, these black high-top trainers are made in soft and supple leather inside and out for superior comfort. Easy for girls to wear, they simply pull on, with stretchy elasticated sides to help and the white chunky rubber sole provides active girls with the grip they need. They are decorated with fun gem embellished appliqués.